The pairing of food and drink is quite possibly older than marriage itself. 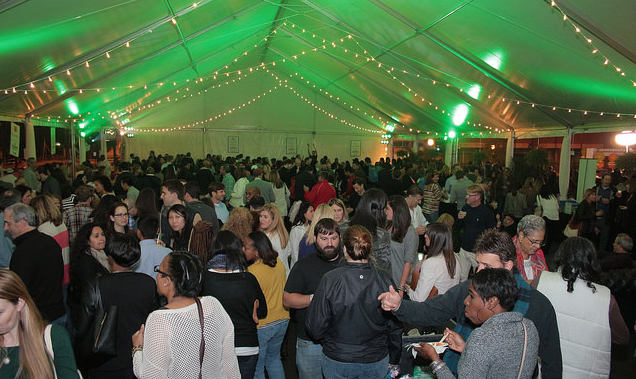 So when the time came to select a theme for the 2014 Taste of Atlanta’s Friday night kick off party, the team decided to “marry” chefs with cocktails, ingredients, and style to create a harmony for the palette. 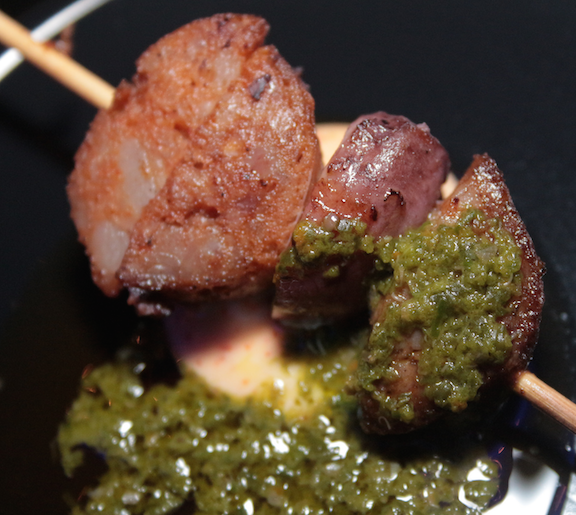 Here are just a few foodie moments from Culinary Matrimony at Taste of Atlanta 2014. Saltyard’s executive chef and partner, Nick Leahy, proffered an oyster trio which was our favorite tasting of the evening. 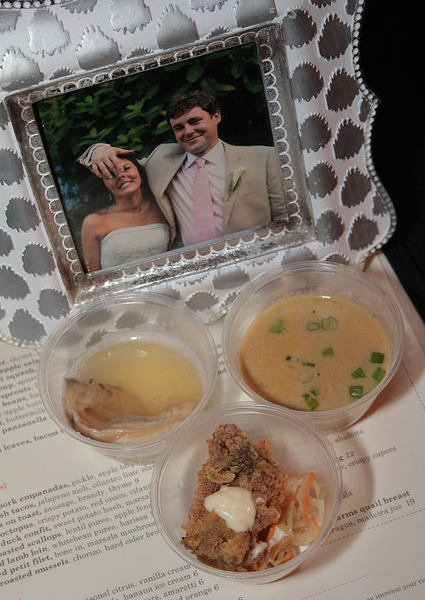 This trifecta included a raw oyster in champagne shooter, fried oyster with slaw, and oyster chowder. Leahy shared his inspiration for the oyster shooter – right after he and his wife said “I do” on their wedding day, the first thing they ate was an oyster and a glass of champagne. Note the adorable picture of Mr. & Mrs. Leahy on their wedding day, which was on display at Saltyard’s booth. Now that’s culinary matrimony. Speaking of matrimony – for the first time in our relationship of six years, my husband ate collards and liked them! 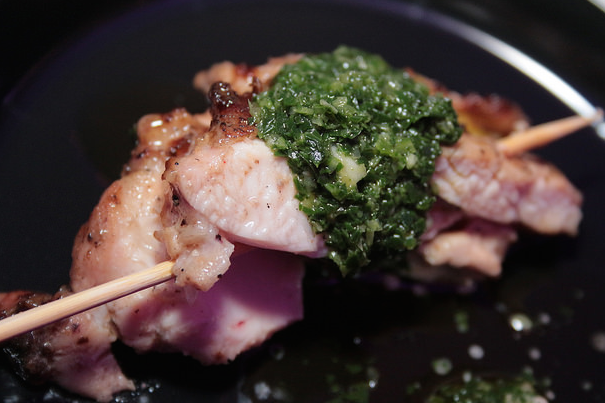 Of course, it was thanks to chef EJ Hodgkinson of JCT Kitchen (where we said “I do” four years ago) with his grilled chicken in a “White Alabama Sauce” topped with the collard greens salsa verde. Kudos to Burge Organic Farm for the tasty ingredients. 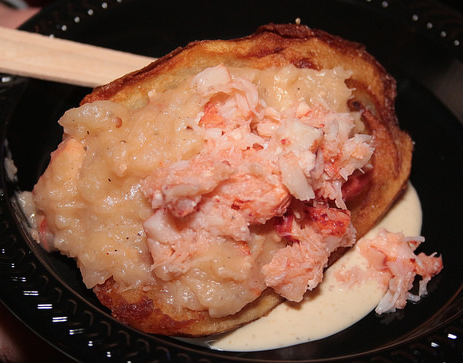 Ford Fry’s restaurants brought their A-game to Taste of Atlanta. It was great to see our pal, Chef Craig Richards, executive chef of St. Cecilia, and sample his grilled octopus with chorizo and lemon-bay kale oil. We first met chef Craig back in his days at Ecco when he showed us his rooftop garden. For Culinary Matrimony, the fresh kale came from Tucker Farms a local purveyor of produce and hydroponic greens. Ron Eyester of Rosebud, The Family Dog, Timone’s, and now Top Chef fame presented a crowd favorite. Our pal Arianne Fielder said it was her favorite dish of the night. Also, apparently she kept sending over shots of Four Roses Bourbon to “The Angry Chef” but he was in the zone. The man has already mastered shrimp & grits, so of course he was going to rock a lobster stuffed twice-baked potato was with chunks of fresh lobster, grain mustard and saffron aioli. 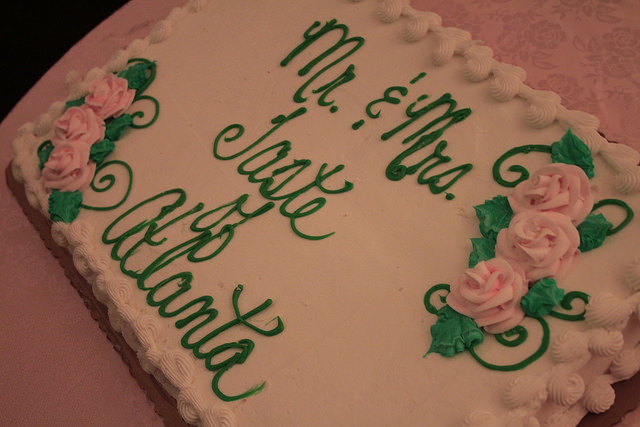 Culinary Matrimony was an awesome way to kickoff the 2014 Taste of Atlanta. The tasting tent was packed with people noshing on tasty treats and sipping bubbly and cocktails. We told y’all a few of our favorites, and we’d love to hear about your foodie moments. Please sign our “guest book” below.